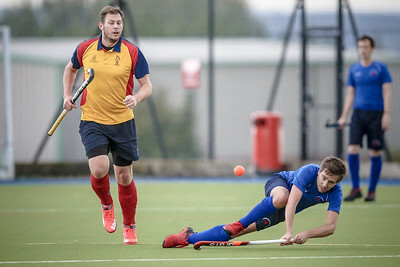 Steve Couture of Harrogate hits a reverse stick pass to Charles Edmondson on the back post during the Lindum league game. 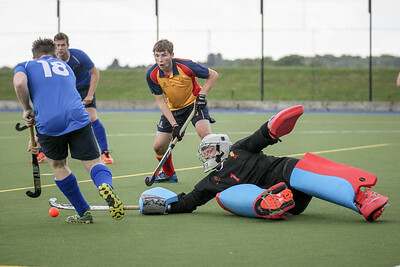 Charles Edmundson goes around the Lindum keeper to score. 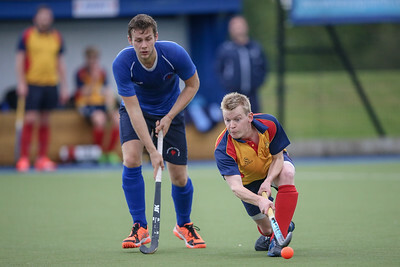 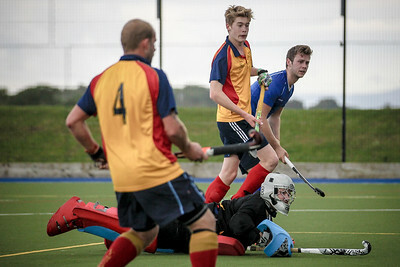 Charles Edmundson (Harrogate HC) and Lindum keeper watch as his shot goes in. 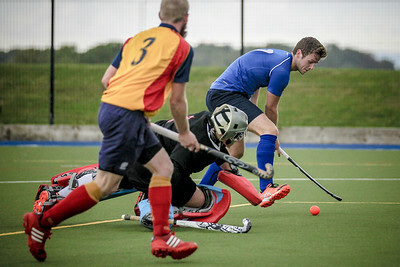 Will Rogers passes the ball out to the wing while falling, during the Lindum League game. 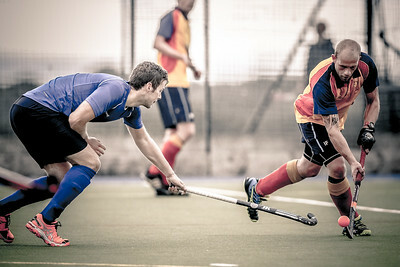 Steve Couture of Harrogate takes on the Lindum defender. 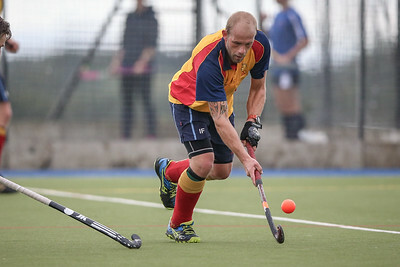 Sam Mackerall (Harrogate) runs witht the ball while looking for the next pass, during the Lindum league game. 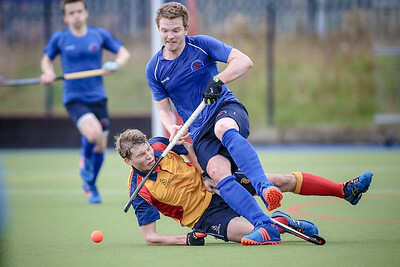 Andrew Clemerson (Harrogate) keeps his feet while he is tackled heavily by the Lindum player. 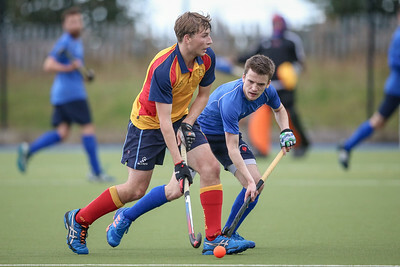 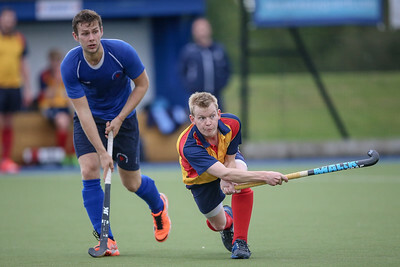 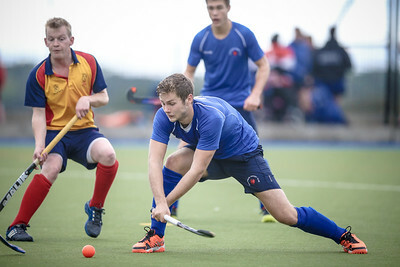 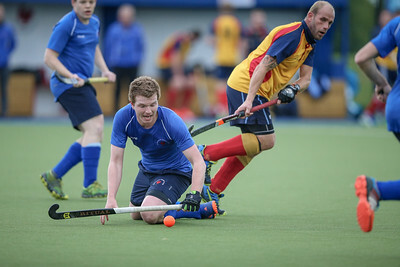 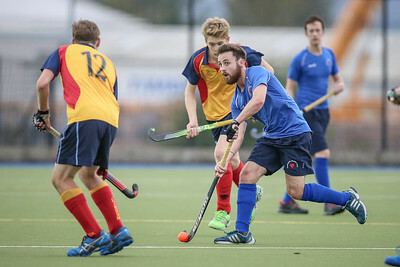 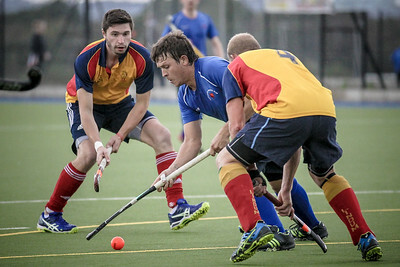 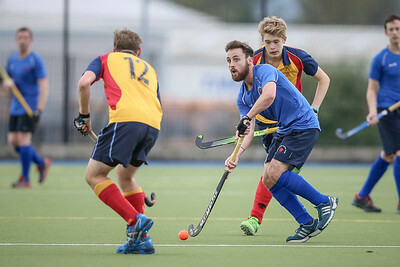 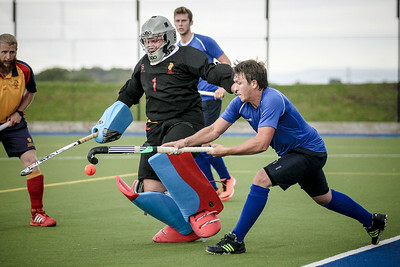 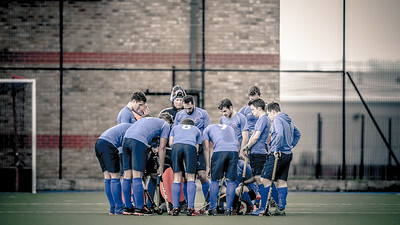 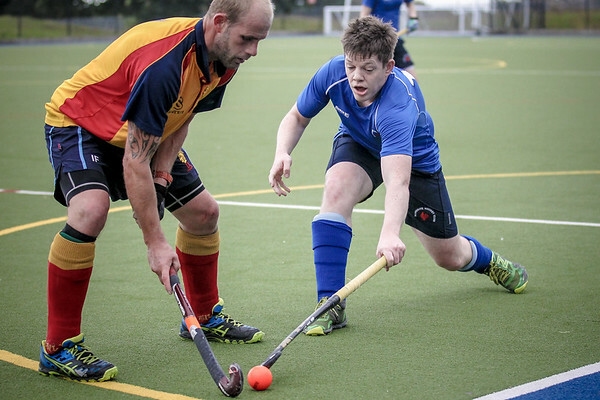 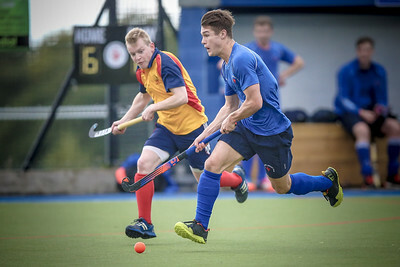 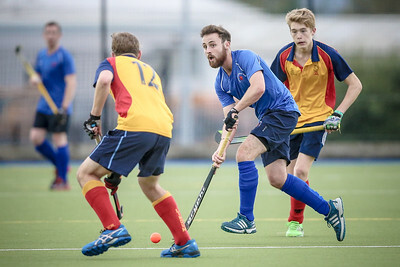 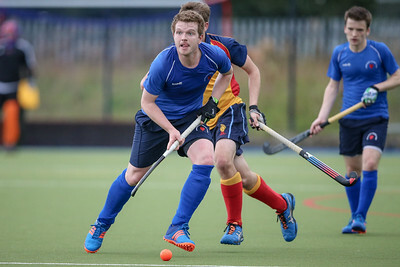 Charles Edmondson (Harrogate) shoots and scores in the second half to increase Harrogate Hockey Club's lead and secure the win. 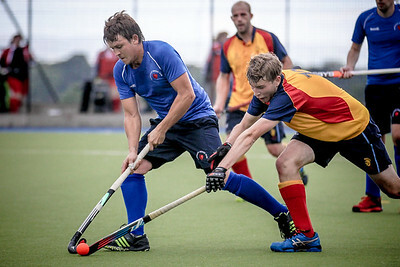 Steve Couture (Harrogate) takes the ball of the Lindum midfield player. 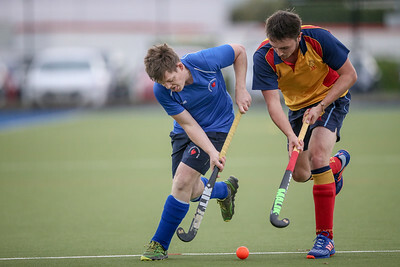 Luke Lambert (Harrogate) puts pressure on the Lindum defender. 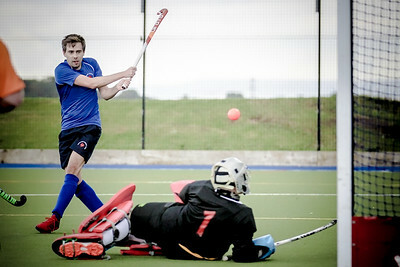 Luke scored during the game to help secure the first victory of the season for the club in the league.